Spring. The season the sun comes out, the dust shows and it’s time to clean everything. 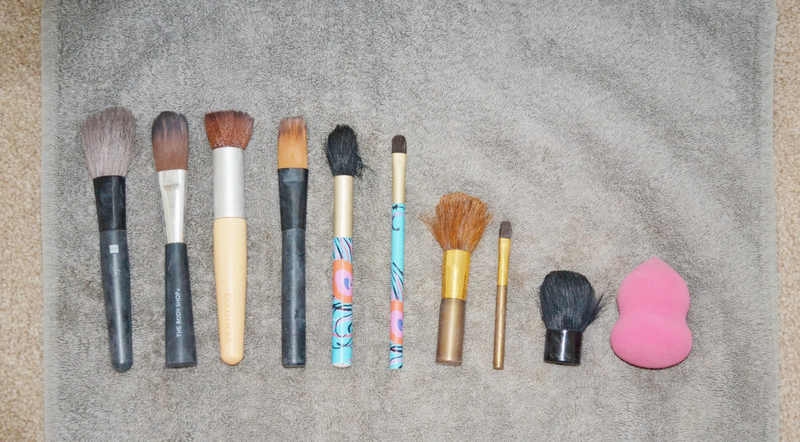 What better time is there to go through with you guys how I clean my make-up brushes? First I fill my sink up with luke-warm water just to soak everything. I’ll rub each brush inbetween my fingers to try and release some of the yuck they’ve picked up while using them. If the water looks as if it needs changing already, I will then empty it and refill it again so they’re not soaking in dirty water! Next I individually wash them with this foam from Superdrug. I bought this originally for use on my face but it didn’t really help so rather than wasting, I use them for my brushes. I figured with the tea-tree it should get rid of all the badness which I rub on my face daily, which probably is a big contributor to my breakouts! 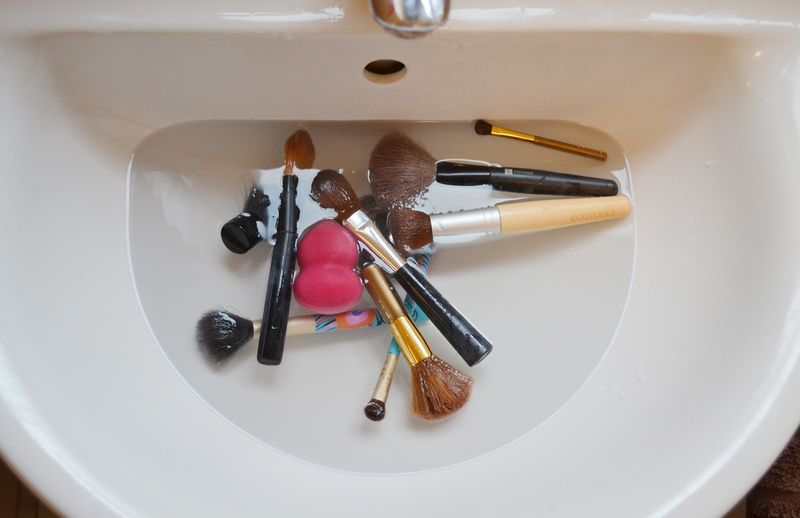 Using this usually get’s rid of the majority of foundation in the brushes. I use one pump at a time and just rub it all over the brush head using my fingers, rinse and repeat until it’s no longer necessary. This is the stage where a new sink of water is definitely needed, so the next step is to empty the dirty sink and reload it with clean water to soak them one last time. The final step is drying. 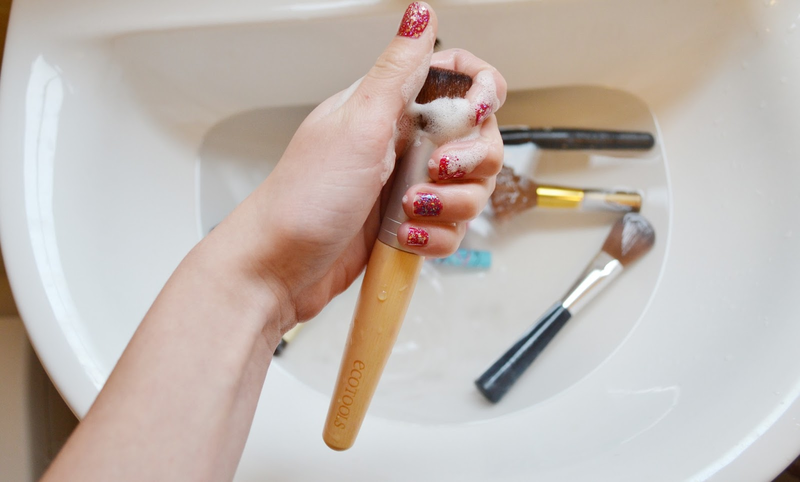 After I’m completely happy all of my products have been rinsed out my brushes I will squeeze each brush lightly with a towel and then lay them down on it, preferably under/next to a radiator. These should dry in time and et voila, fresh, like new, brushes.